Zoos, aquariums — directories and print and online information sources; contact information for selected natural history museums and conservation organizations. Image Credit: ©San Diego Zoo Global. All rights reserved. Welcome! 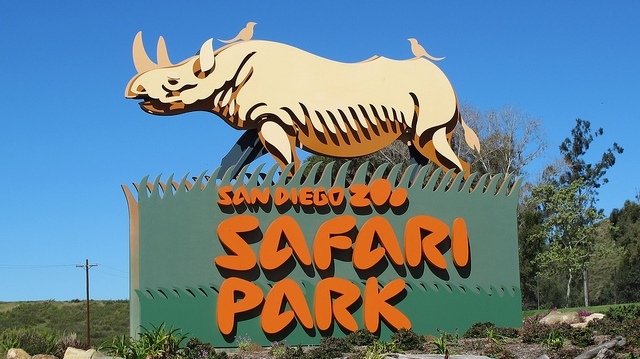 This is a guide finding to zoo, aquarium, and natural history museum information resources, online and at the San Diego Zoo Global Library. Use the links below to find information on this page. Use the tabs above to explore specific topics. The Association of Zoos & Aquariums provides its members with the services, high standards, best practices and program coordination to be leaders in animal welfare, public engagement, and the conservation of species. Using compelling, relevant content, the Academy immerses learners in the subject matter, presents challenging and thought-provoking material, and guides learners in a creative and engaging manner as they build professional skills. The Academy makes learning available anytime, from anywhere, in an effort to reduce time, travel, and other barriers that can restrict access. Individuals can learn at their own pace, test their skills, gauge their progress, save their learning history, and review course materials as often as they like. Learners will be actively engaged in their own professional development, in an environment that incorporates cutting-edge technologies, interactive experiences, and connections with both instructors and peers. Subject-matter experts from top institutions, including San Diego Zoo Global, Birmingham Zoo, Lowry Park Zoo, National Zoo, Reid Park Zoo, and Point Defiance Zoo and Aquarium, have joined together to create the wide variety of courses offered within the Academy, from Animal Care, Education, and Volunteer Training to Human Resources, Horticulture, and Operations, plus more. By offering the highest-quality learning products, the Academy will help learners gain knowledge and confidence as they expand their professional skills. A reference work providing description, history, analysis and information on every aspect of the zoo world. The encyclopaedia is international in scope and is composed of some 500 illustrated entries. More than 150 zoos are profiled, as are the zoo-related histories of 100 animals traditionally exhibited in zoos and those most affected by zoo conservation and breeding efforts. Other entries cover influential individuals in the zoo world; institutional topics such as zoo design, structure, science, and methodology; and important issues affecting zoos, such as ethics, education and conservation.